BUYING! 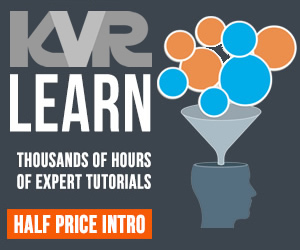 X Checkout $40.00Buy Now! 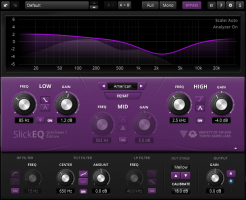 TDR VOS SlickEQ GE by Tokyo Dawn Labs is a Virtual Effect Audio Plugin. 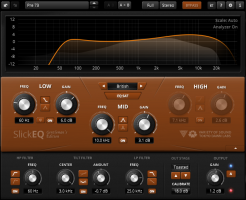 It functions as a VST Plugin, an Audio Units Plugin and an AAX Plugin. Windows AAX 32-bit (PT10) currently not supported! 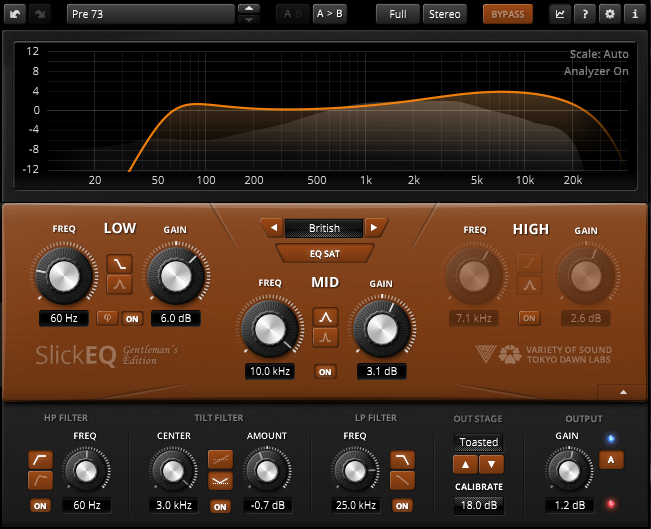 TDR VOS SlickEQ - Gentleman's Edition takes SlickEQ's concept to new heights and adds an exotic "Tilt"-filter flanked by flexible low-pass and high-pass filters. Five distinct EQ models provide a rich set of predefined EQ curves and behaviours for the three main semi parametric filter bands. 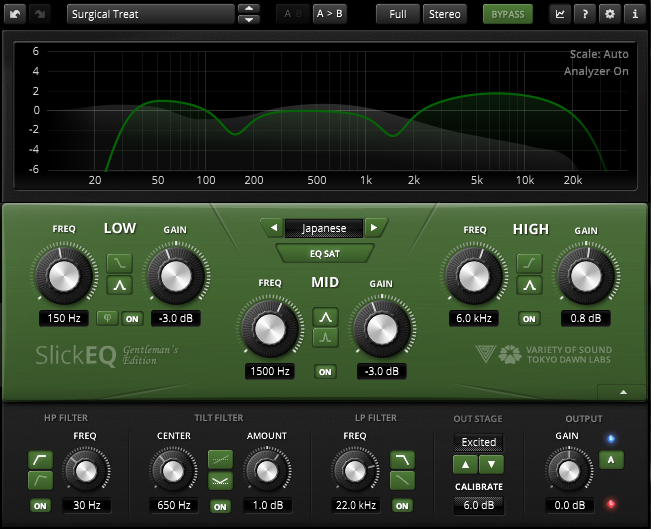 SlickEQ GE offers a switchable EQ non-linearity and seven different output stages. 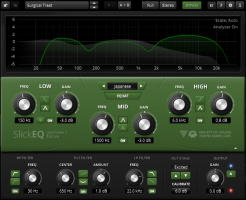 These options offer subtle and interesting textures, from the typical "mojo" often associated with high quality analogue audio gear, up to more obvious saturation. 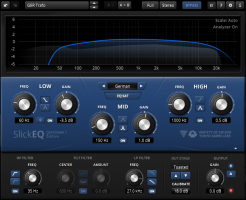 An elaborate auto gain option automatically compensates for changes of perceived-loudness during EQ (within reasonable limits) and a gain-trim feature helps controlling peak overloads with ease. The 64-bit multi-rate processing scheme (a.k.a. 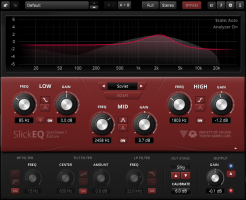 "internal re-sampling") practically eliminates typical problems of digital EQ implementations such as frequency-warping, quantization distortion and aliasing. Beside the primary controls, the plug-in comes with an array of additional helpers: Advanced preset management, a frequency magnitude plot, undo/redo, quick A/B comparison, copy & paste, an online help, editable labels, mouse-wheel support and much more. 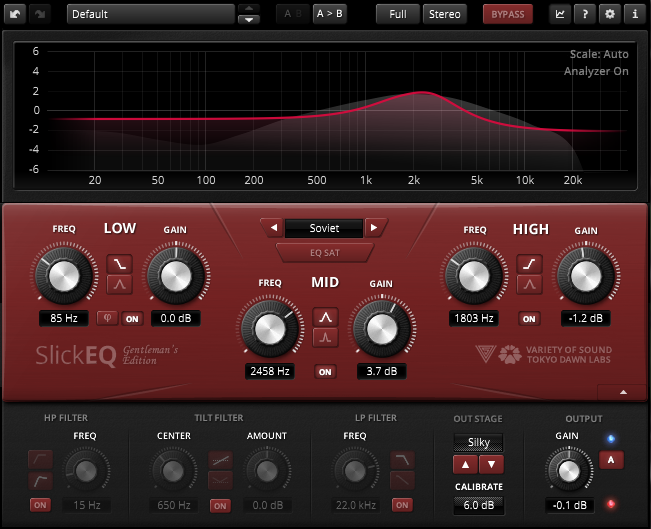 Finally, SlickEQ GE allows to exclusively process the stereo sum or stereo difference without external sum/difference encoding (see "M/S" microphony). Modern user interface with outstanding usability and ergonomics. Carefully designed 64-bit "delta" multi-rate structure. Three semi-parametric filter bands, each with two shape options. Five distinct EQ models: American, British, German, Soviet and Japanese. Low band offers an optional phase-lag able to delay low frequencies relative to higher frequencies. 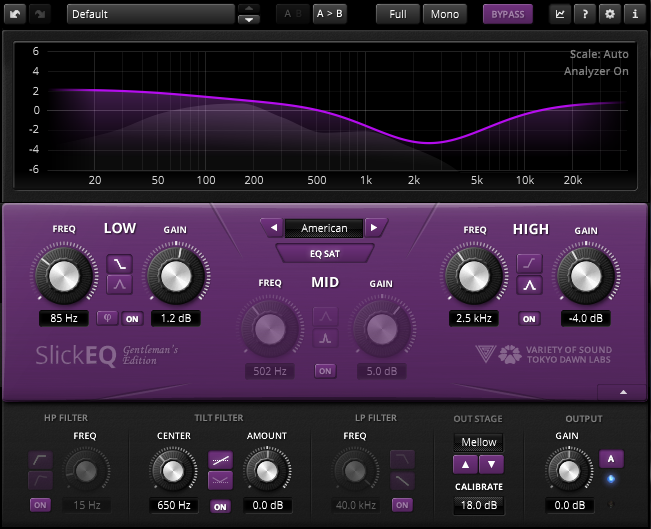 High pass filter with optional "Bump" mode. Low pass filter with two different slopes (6dB/Oct and 12dB/Oct). Parametric Tilt filter with optional "V" mode. Six output stages: Linear, Silky, Mellow, Deep, Excited and Toasted. Expandable frequency magnitude response display including a realtime analyzer. Highly effective loudness compensated auto gain control. Stereo, mono, left, right and sum/difference (mid/side) processing options. Tool-bar with undo/redo, A/B, advanced preset management and more. The plugin is a collaborative project by Variety of Sound (Herbert Goldberg) and Tokyo Dawn Labs (Vladislav Goncharov and Fabien Schivre). Awesome!!! 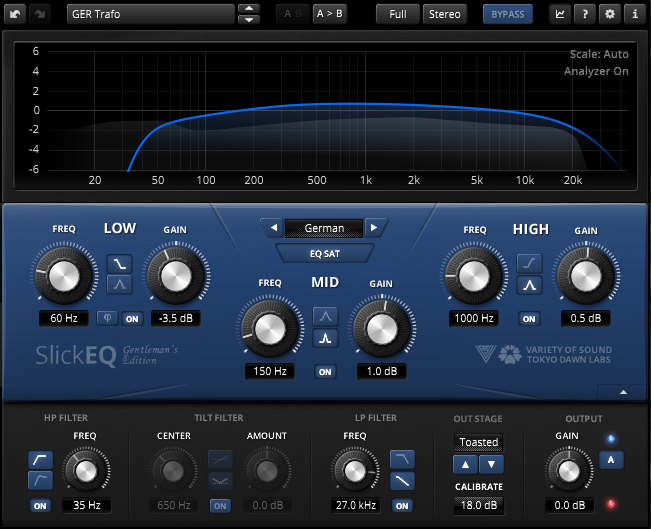 Love the auto gain feature.